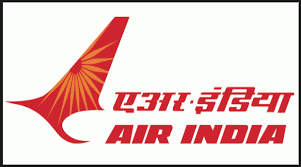 AIESL Recruitment 2018 2019 Application Form for 77 Aircraft Technician Posts Download Application through Official website www.airindia.in. AIESL Aircraft Technician Jobs Notification 2018 Released. AIESL invites Walk in Interview for appointment in following Aircraft Technician post in Air India Limited. Candidates are requested to Download Application through Official website www.airindia.in. Prospective candidates will have to before Walk in Interview carefully reading the advertisement regarding the process of examinations and interview, eligibility criteria, Offline registration processes, payment of prescribed application fee/intimation charges, AIESL pattern of examination, AIESL Syllabus, AIESL Question Paper, AIESL Walk in Date, AIESL Result Date etc. a) Diploma in Engineering (3 years) in Mechanical Engineering or equivalent recognised by Central/State Government with 60% marks/equivalent grade (55% or equivalent grade for SC/ST/OBC candidates). General Category - 35 yrs OBC – 38 yrs. SC/Interested candidates meeting with the Eligibility criteria mentioned in this advertisement, as on 01st September 2018 may attend the walk-in (Trade Test & Interview) as per given schedule at the Venue mentioned below with the post, with non-refundable application fee of Rs. 1000/-(Rupees One Thousand Only) by means of A/C Payee Demand Draft in favour of “Air India Engineering Services limited” Payable at Delhi. (SC/ST/Ex-Servicemen candidates are exempted from payment of this Fee).T - 40 yrs. 09.30 Hrs. to 11.30 Hrs.